/ The Third Temple Prophecy: What’s Holding Back Its Fulfillment? Many Christians consider the rebuilding of the Holy Temple and restarting of animal sacrifices not a prophetic sign, but an affront to Christ and the church (the "real" temple?). If you learn what the Book of Hebrews says is the actual purpose of the Temple and sacrifices, the plain prophecies about them coming again will make more sense. Discover what must happen first before Temple construction can begin, what prophecy may bring it, when it happens in relation to the 70th week, and what if anything you should do when you see the Third Temple rebuilt. Since AD 70 when a rebel faction inside the Roman army disobeyed orders and destroyed the Holy Temple, the Jews have been without their central place of worship. The Western “Wailing” Wall has been serving as Judaism's most sacred site in place of the Temple. But it only a remnant of a retaining wall of the Temple Mount, not a remnant of the Temple itself. For most Christians, the absence of Jewish Temple on the Temple Mount is far from a problem. It is just as it should be, to them. After all, that's a relic of the Old Covenant. Jesus said something about him being the Temple (John 2:21) and didn't Paul say that the church is the Temple of God now (1Co 3:16)? Given those perceptions, most Christians are not expecting another temple to be built or perhaps for God to ever allow it. Especially—God forbid—one with renewed animal sacrifices that Christians imagine as an affront to Jesus' one sacrifice for all time. Ezekiel/Millennial Temple (built under the Messiah – Ezekiel 40-46; Zechariah 8). Even Christians who are aware of the passages above often see only one Temple among them, or none (by treating them allegorically). 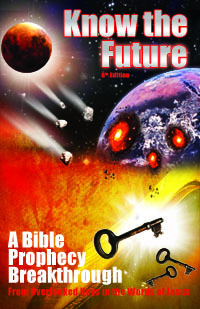 However, the context of both the Ezekiel and Zechariah Temple prophecies is millennial, making them distinct from the prophecies of an end time Great Tribulation/Antichrist Temple such as Daniel, Revelation and Second Thessalonians describe. Zechariah 6:12-13 names "the Branch" (Christ) as the builder of the Temple. (It's kind of hard for him to do that until the Millennium, after he returns.) Ezekiel spends several chapters detailing the Millennial Temple dimensions, priestly chambers and duties, altar, animal sacrifice schedule and contributions from the people. It's difficult to sweep all that away as allegory. The reason Christians are tempted to dismiss Temple prophecies in that way is because they do not understand the purpose of the Temple animal sacrifices. Most Christians think they served to take away sin until Christ came or only foreshadowed his sacrifice. Yet, the Book of Hebrews makes it clear that “the blood of bulls and goats never could take away sin” (Heb 10:4). It gives the true purpose of the sacrifices as being a “reminder of sin” (Heb 10:3). Still, Christian animal lovers struggle with a God who would command adorable, precious, innocent animals to be slaughtered. It can challenge their faith in a loving God to see the Torah of Moses (given by God) command the sacrifice of animals. Then to hear that it will be allowed for a Third Temple and apparently commanded in the Millennial Temple (see Ezekiel 40-46) after Christ already fulfilled the sacrifices seems barbaric and not like the kind of God they imagine. I suggest that the answer to this dilemma is that it's supposed to be unpleasant to contemplate animals being sacrificed. Not liking it is the point. God is reminding us through the death of innocent animals about the price of not doing what he says. He did not create the animals only to give affection, companionship, eggs, milk and fleece and other things that don't cost their lives. He made them to also teach us about the blood cost of sin or not loving our fellow man. Hopefully now having resolved any Christian prejudices that the reader may have had against another temple and animal sacrifices appearing one day, let's now look at all the passages on this topic with an open mind. We'll see that we have a “temple,” a “holy place,” an “altar,” and daily “sacrifices” all literally described in prophecies surrounding the final seven years. 2 Thessalonians 2:4 (ESV) — who opposes and exalts himself against every so-called god or object of worship, so that he [The Antichrist] takes his seat in the temple of God, proclaiming himself to be God. The natural next question is when or how soon can this take place? The short answer is not right away. Despite what the prophecies say and the preparations already underway to make them happen, the Temple is still not ready to appear. Ezekiel 3:1-6 — 1 And when the seventh month was come, and the children of Israel were in the cities, the people gathered themselves together as one man to Jerusalem. 2 Then stood up Jeshua the son of Jozadak, and his brethren the priests, and Zerubbabel the son of Shealtiel, and his brethren, and builded the altar of the God of Israel, to offer burnt offerings thereon, as it is written in the law of Moses the man of God. ... 6 From the first day of the seventh month began they to offer burnt offerings unto the LORD. But the foundation of the temple of the LORD was not yet laid. However, as we shall see, what's stopping construction of the temple is also stopping construction of an altar and sacrifices even without a temple. Some think the main barrier is that the Dome of the Rock is over the location of the First and Second Temples. Others dispute this and say that the right site is elsewhere on the Temple Mount. They suggest that a Third Temple could coexist on the Temple Mount without any harm coming to the Dome of the Rock. One researcher, Bob Cornuke, claims the Temple was not even on the Temple Mount but in the City of David also called Zion. Does this mean the Jews can proceed with rebuilding the Third Temple? No, as this ignores the political reality and who is in control of the Temple Mount now. Although Israel regained sovereignty over Jerusalem in the 1967 Six Day War, the Temple Mount is not under Jewish control. It has been administered since the Crusades by the Islamic Waqf, a joint Palestinian-Jordanian religious trust. The Israeli government is secular and has preferred to maintain the status quo on the Temple Mount where the third holiest Muslim site sits. This includes their enforcing of rules forbidding Jews to pray, bow, kneel, prostrate, dance, sing or even rip their clothes on the Temple Mount. It's a volatile situation with frequent Arab rioting at the slightest sign of a religious provocation by the Jews. With the delicate current political situation Israel faces surrounded by Muslim Arab enemies, it's understandable that the Israeli government is actually hindering the Third Temple. Many Jews believe that those pushing for a Third Temple are being irresponsible and putting the nation at risk. Thus, for the Third Temple to appear, an upsetting of the current political situation is required. And, by the way, it does not matter where Gentiles like Bob Cornuke think the Temple was or should be rebuilt. The Orthodox Jews are the ones who will rebuilding it. They will not be consulting Gentiles; they will rebuild it where they as Jews think it should go: on the "Temple" Mount. Therefore it does not matter whether Bob Cornuke is right or not (I think not). It will be build where the Jews decide and it won't happen until they are politically free to do so. Israel's Arab neighbors have not made a major coordinated joint attack like Psalm 83 describes since the 1973 Yom Kippur war. When they finally are able to justify doing so, Israel will defeat them handily using her nuclear arsenal. Not only, Damascus, but probably several of the aggressor nations' capitals will be nuked. At that point, whether the Dome of the Rock is over the original site of the First and Second Temples matters less. Perhaps the Dome will be a casualty of war either directly or through a rogue element like the Roman one that destroyed the Second Temple. With the Arab's military power and political influence greatly reduced, Israel will be able to do what they want with the Temple Mount in the face of continued objections from Muslims. Perhaps a surge in nationalism after vanquishing their archenemies will swell and popularize support for the rebuilding of the Temple at last. Time will tell. All we know for sure is that the Temple must and will happen. 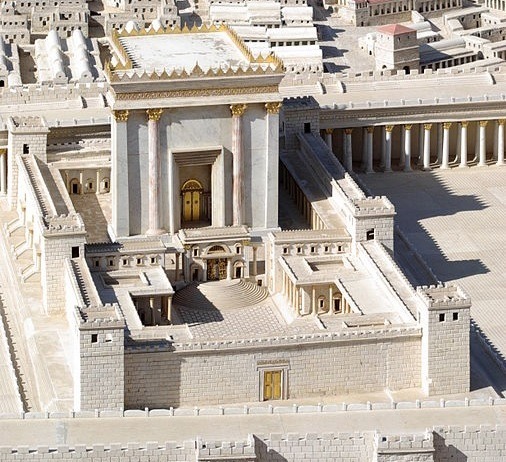 When We See the Third Temple Built, Then What? For prophecy fans, it will be exciting and significant to actually see the fulfillment of prophecy when the Temple is completed and animal sacrifices are performed daily. But will it be a useful sign of the end? Unfortunately not. It will not tell us how close we are to the end. Nor will it signify that believers need to do anything when they see it. Thankfully, by the time it happens we will probably not be limited to just what we can figure out from the our Bibles. A real prophet for the end times is prophesied by Malachi. This “Elijah” will come and teach the Gospel of the Kingdom (Mt 24:14) and how to turn to God (Mal 4:5). If you are looking for a better sign of the end that will be able to tell us how much time we have left, watching out for the end time Elijah prophet would be the way to go. He'll be able to tell us about the Antichrist, the Great Tribulation and what we need to do to escape both them and the terrible death-star Wormwood that precedes them. Sorry for my ramblings last night. You have some compelling thought on the “earthly” temple being built before the coming of Christ. You mentioned the fact that we are now the temple of the spirit of God, but didn’t explain why it isn’t the evil one that is now the ruler in peoples hearts (holy of holies) and in effect removes the sacrifice of Christ crucifixion, or that Christ’s sacrifice is taken away because of the great evil of the world and Gods wrath will then be poured out. (My spirit will not always strive with man). Could this be the case? Just a thought. Thanks for your articles. Very uplifting and thought provoking! Abe, I don’t understand the concept you have of “Christ’s sacrifice being taken away.” He was the lamb slain from the foundation of the world (Rev 13:8). This means his atonement has always been available since Adam to all who would believe God’s word and have it accounted as righteousness to them through that fact (Gen 15:6). worships Satan rather than YHWH. order to subjugate the nations. of prophecy we may be very much surprised. Hugh I agree that Judaism is corrupted (as are all Bible-based religions), but if it they do it quite improperly, they are worshiping Yehovah God, the God of the Old Testament and Israel. Wonder what Benjamin Freedman would think about this? My first question to “animal lovers” who believe that God is/was cruel to allow for sacrificing innocent animals ; Do you eat meat ? My Second question ; Do you not realize that the method used to harvest MEAT for consumers today is far worse than the Levitical method of allowing the creature to die in the most painless method possible ( surgical severing of a major blood vessel ). My third question ; Do you not realize that the meat of the sacrificial animal was FOOD for the Priesthood as well as the one offering the sacrifice ? When we get past our emotions and inquire as to the CONTEXT of Scripture, we can grow into a maturity of understanding God’s ways and will. Man still has a sin problem (Rom. 3:10). The solution for the problem is still blood (Heb. 9:22), but it is no longer necessary to sacrifice animals because Jesus has died as the ultimate and everlasting sacrifice. “The next day John saw Jesus coming toward him and said, ‘Look, the Lamb of God, who takes away the sin of the world! '” (John 1:29 NIV). Jesus allowed Himself to be put to death so that His holy blood could cleanse us. The sacrifice Jesus made when He hung on the tree is the final sacrifice and no other is needed. Those who sacrifice animals are rejecting Jesus. Diane, I agree with everything you said (minus the last judgmental statement.) AND if you read the article above, you’ll see that according to plain prophecy, animal sacrifices are coming again as “a annual reminder of sin” (Heb 10:3)–not because they are “necessary” which actually never were because “it is impossible for the blood of animals to take away sin” (Heb 10:4). Tim, Its likely you’ve already covered this, just like my last question regarding the end of the 1000 years and Satan’s release. (I read your article on that and it made sense.) But here goes. Aren’t the survivors of “Armageddon” going to be mostly Jews at first and that even though the world will be ruled by Christ and His Bride, most of those being ruled will not accept Christ but follow the “law of Moses” which of course would include animal sacrifice. Jesus could show them exactly how to follow the law and then show them how they couldn’t follow it in Moses day and they won’t be able to follow it during His rule either, even under ideal conditions and in fact will never be able to follow it because they are still sinful flesh. Mike, no, the survivors of God’s wrath will be mostly non-Jews, no different than the population is today. Nations will be equally deceived by the Antichrist including Judah/Jews (Zech 14:14). Everyone on earth who survives God’s wrath to make it into the 1000 years will start out his enemy and need to repent, so the answer is yes. They will be flesh and can repent and will need to continually as they learn and grow. We repent continually as we see things, now, yes (2Co 13:5)? Tim, Thanks. Yes, that makes sense. I too had been taught that Jesus’ death replaced animal sacrifices. However, I can see how such sacrifices will serve the purpose of remembrance of the punishment for sin in the Millenium. After all – before being granted eternal life, humans will still be humans with human nature, even without the devil and his lot. Once again, thought provoking. I knew of the, once again, animal sacrifices. I am an animal lover and it does upset me that the sacrifices will resume, BUT I understand God’s plan. What I didnt realize is there is to be a 4th Temple! But when you think about it, why would we expect God to occupy a temple that the anti Christ seats himself in, claiming himself to be God! Duh! Thanks again Tim. As always, great article Tim. I have to admit I have a hard time understanding people’s obsession with animals. I mean I love animals too, but if God says animal sacrifices are back, then guess what? Animal sacrifices are back! I agree with your reasoning on how it’s supposed to be an unpleasant reminder of sin. God bless you brother. Donovan, this article explains what has kept the Arabs from uniting against Israel for a fourth confederate attack and when to expect it. Thanks for the reply, I just saw another article you posted about ISIS which talked about this war as well. 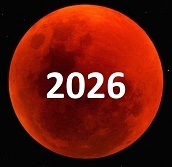 It seems like you arent expecting it maybe until the 2020’s at the earliest? Brian, William Branham was great but he did not in any way shape or form turn the world to repentance nor did he come “before the day of the Lord” which is yet future when he leads people to safety in Mt. Zion at that time. When you understand all that Elijah is tasked with, you won’t mistake anyone in the past for him. My question is to confirm whether “the counsel of peace shall be between them both” refers to the Father and the Son. I understand the Branch is Yeshua the builder with royal honor who shall sit on the throne that belongs to the Lord who is YHVH. Where I hit a mental bump is after “there shall be a priest” who I would understand to be Yeshua in the order of Melchizedek (not a Levite, without a forebear nor descendant), yet why a mention of “the counsel of peace shall be between them both” since peace between the Father and Son would seem to be a given. Unless, I guess, it refers as a prophecy to Yeshua as a human who will live in peace with the Father? Now that I have worked out the question, I realize I may have the answer… but still would like to get your confirmation or correction. Thomas, I didn’t know the answer to your question until I compared it in multiple versions which resolved it in seconds: http://biblehub.com/zechariah/6-13.htm The answer is both refers to the two *roles* of king and priest. Thanks Tim! Although I love the elegance of the old English KJV, a modern translation, as you so often recommend, saves the day again! It is a beautiful prophecy, and joyful for lovers of Yeshua, most comforting, and has no shelf life, date of expiration. It refers to His eternal rule with spiritual (priestly) and physical (kingly) protection. Albeit in glorified bodies we, I am sure, will bask in his love and glory! Joyce, I would to see you quote these NT verses at the Jesus-and-NT-rejecting Jews who are going to build the Third Temple while you share your theory with them that there will never be a physical temple again. =) My point is despite your Christian theology off these verses, prophecy says the Jews will build another temple. Don’t feel bad. I also have Christians tell me that the Temple was not on the Temple Mount where people think and I give them the same answer. The Jews will decide to build a temple and decide on its location without any input from Christians! Thank you Tim McHyde! May Father’s Holy Spirit keep showering you with knowledge from above. Much love and respect! So I’m just a student and not a scholar of any sort, but wouldn’t the temple be just another building if it didn’t have the ark of the covenant? What would they put in the holy of holies, some Ezekiel bread? I do love that bread by the way. I believe it was given to Jeremiah to take but no one knows where. I don’t focus on end times, to many people don’t know who God is so I rather focus on that but it is interesting. Vahe, yep it will be just a building dedicated to Yehovah unless God’s shekinah dwells in it like it did starting in Solomon’s time until it left (Ezekiel 10). It has never returned to any other temple and will not until the Millennial Temple under God’s kingdom. But the above fact does not matter to the Jews (witness the Western Wall worship) nor to the Antichrist or the world he deceives from there. What would you have said if GOD THE FATHER was alive on earth and if he would die if that was nothing no one was supposed to know and if GOD THE FATHER dying physical death on earth shall officially start the end truly if this was all true would you find it to be surprise if GOD THE FATHER was going to be willing to let himself die even if he did not die completely. What do you think now that an altar has been placed? Check out the news. Hi Taylor, there are a lot of items like the altar prepared and being practiced on, but not on the Temple Mount or there would be riots. No altar has been placed on the Temple Mount and there is no temple yet. It will happen only after the Arab problem is solved by the nuclear war of Isaiah 17. Tim isaiah 17: 12-14 talks about a tsunami that God will send over all nations to end a war? There is a man who is called a prophet, dreamed and predicted about this event, because according to his interpretation is not yet the end. Rosh shaul ben avraham.